energyIQ develops project specific, real-time monitoring, data collection and control information for each microgrid application we design and implement. Real-time displays enable granular inquiry to the device and physical data point detail. Device alarms and system alerts are logged and can be directed to professional responders by the microgridIQ system. Historical data is organized by time and date to support various analytic inquiries and reports. 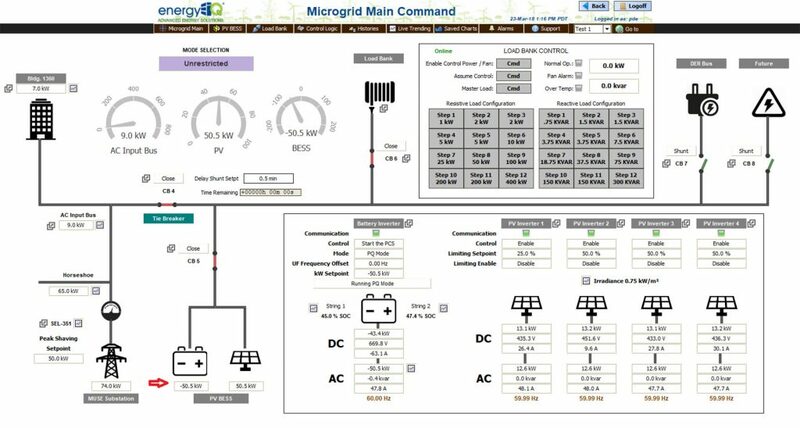 Microgrid component maintenance histories and schedules are tracked to support uptime. At energyIQ, we are proud of the reliability, maintainability, and ready availability of our microgridIQ designed and field deployed microgrids. Superior system integration specializing in building automation, distributed generation, energy optimization, industrial IoT, microgrids, smart infrastructure, and water/wastewater solutions.